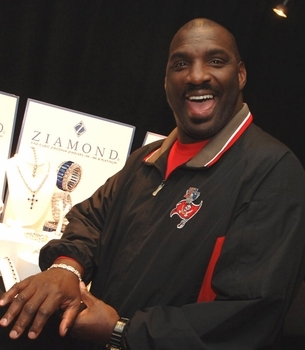 Ziamond Cubic Zirconia CZ Jewelers welcomed NFL great Doug Williams to view the extensive gold and platinum jewelry collection. Ziamond Cubic Zirconia CZ Jewelers features a Men's Collection that includes rings, bracelets, necklaces, pendants, cufflinks, tie tacks and lapel pins. All Ziamond cubic zirconia cz jewelry is set in 14k gold, 18k gold or platinum.